Toyota Motor Corp., DENSO Corporation and the SoftBank Vision Fund (SVF) announced today that they will invest USD1 billion in Uber Technologies Inc.&apos;s Advanced Technologies Group (Uber ATG). 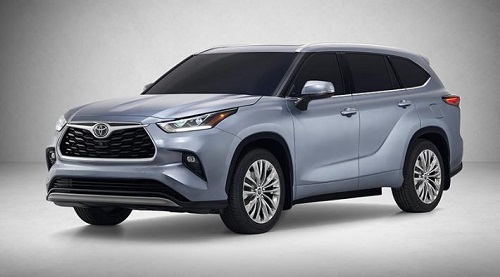 Toyota is on a major roll with new SUV&apos;s, especially the next-generation three-row 2020 Highlander debuting at the New York International Auto Show. 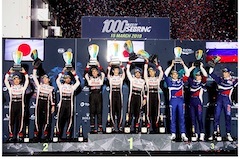 Toyota announces that today the company premiered its C-HR and IZOA battery electric vehicles (BEVs) as part of its activities on the opening day of Auto Shanghai 2019. 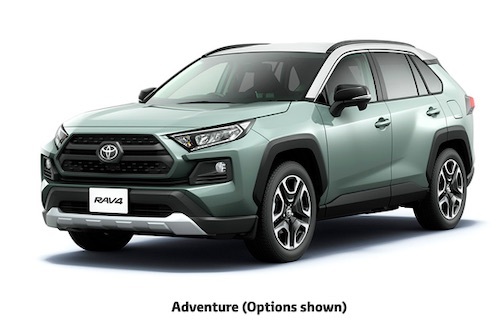 Toyota announces the launch of its completely redesigned RAV4 in Japan and the start of sales at all nationwide Toyota "Corolla" and "Netz" dealers, and Toyota Mobility Tokyo, Inc.
Toyota Motor Corporation and DENSO Corporation announce that they have made a formal decision and reached agreement toward concluding a contract to transfer core electronic component operations to DENSO. 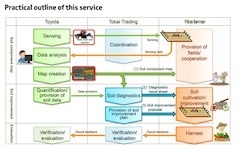 With consideration for the amount of time, money and resources needed to develop sustainable mobility to help combat rising emissions and continuing to utilize currently available technology, Toyota Motor Corporation announced today two measures related to its patents and technical knowledge to further promote the widespread use of electrified vehicles. Toyota Motor Corporation (TMC) held its annual entrance ceremony for new employees today at 11:00 a.m. in Jimu Main Hall at TMC headquarters in Toyota City. The strong performance of the Toyota Yaris WRC on the Tour de Corse concluded with a one-two finish on the rally-ending Power Stage for Kris Meeke and Ott Tanak. 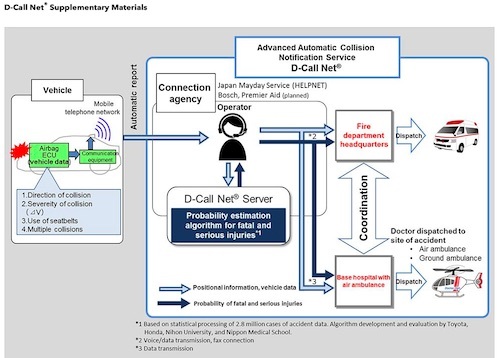 Three new automobile manufacturers--SUBARU, Nissan, and Mazda--are to participate in D-Call Net, which comprises the certified non-profit organization Emergency Medical Network of Helicopter (HEM-Net), automobile manufacturers, and service providers. 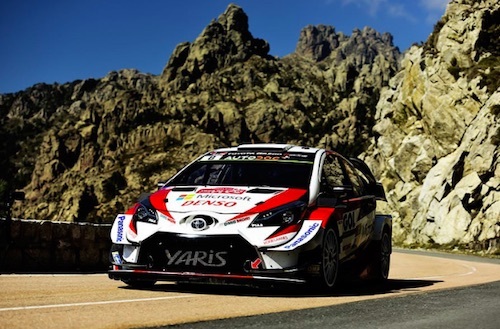 Toyota Motor Corporation (Toyota) has updated its official website. 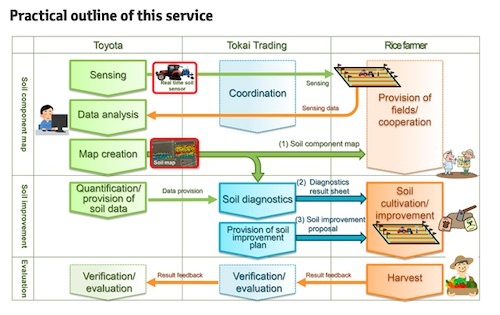 Toyota Motor Corporation (TMC) begins field trials today of a new support service that uses data from real-time visualization of soil components during agricultural land analysis to diagnose soil characteristics and propose improvements. 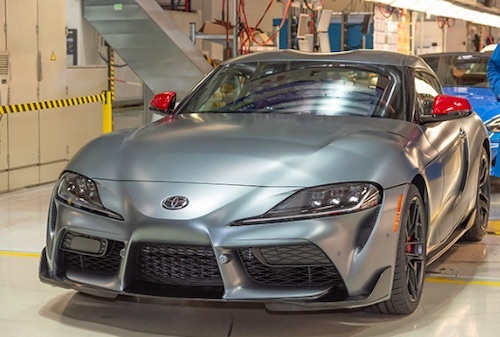 In early March, the first production version of the all-new Toyota GR Supra rolled off the production line at the Magna Steyr, Graz Plant in Austria. But customers shouldn&apos;t get their hopes up of getting their hands on the first production model--this one is already taken. 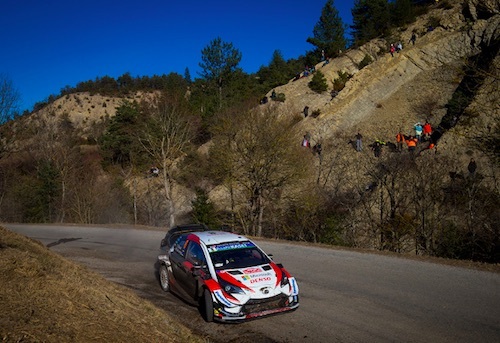 TOYOTA GAZOO Racing World Rally Team takes the lead of the drivers&apos;, co-drivers&apos; and manufacturers&apos; standings to the French island of Corsica for the first pure asphalt round of the season, the classic Tour de Corse. Toyota Motor Corporation and Suzuki Motor Corporation has announced their agreement to begin considering concrete collaboration in new fields. TOYOTA GAZOO Racing conquered the 1000 Miles of Sebring to extend its advantage in the FIA World Endurance Championship (WEC) with a one-two victory in the sixth round of the 2018-2019 season. Ott Tanak has claimed a superb second place finish on Rally Mexico following an impressive final day, maintaining his lead in the FIA World Rally Championship drivers&apos; standings. 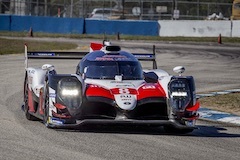 TOYOTA GAZOO Racing resumes its 2018-2019 FIA World Endurance Championship (WEC) season following the winter break with its first-ever visit to Florida, for the 1000 Miles of Sebring. Toyota proudly presents the world debut of the new Toyota GR Supra GT4 Concept at the 2019 Geneva Motor Show, held from March 7-17, 2019, in Geneva, Switzerland. 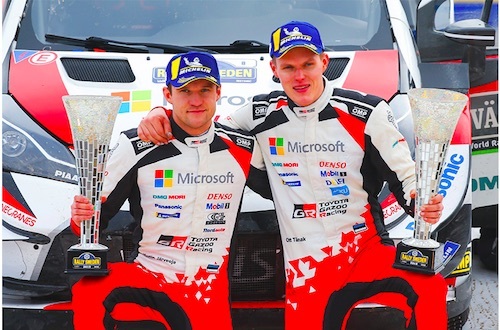 Following its victory on the snow and ice of Rally Sweden to take the triple lead of the manufacturers&apos;, drivers&apos; and co-drivers championships, the TOYOTA GAZOO Racing World Rally Team is preparing for a very different challenge on Rally Mexico: the first true gravel event of the season. 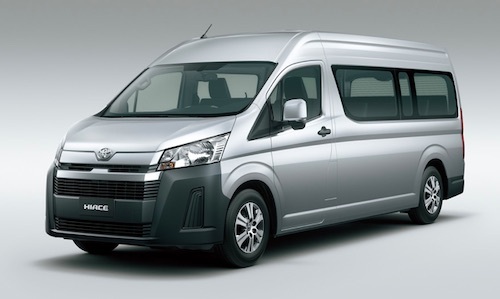 Toyota Motor Corporation has updated its sales, production, and export results for January 2019, including those for subsidiaries Daihatsu Motor Co., Ltd. and Hino Motors, Ltd.
Toyota Motor Corporation announces today it has unveiled in the Philippines its first new Hiace model designed for overseas markets. 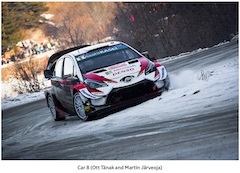 TOYOTA GAZOO Racing World Rally Team is celebrating its first win of the 2019 FIA World Rally Championship season after Ott Tanak clinched a dominant victory on round two, Rally Sweden. 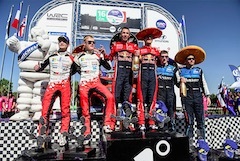 It is the second win in three years for the Toyota Yaris WRC on the event, the scene of its maiden triumph in 2017. 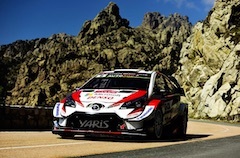 The Toyota Yaris WRC will return to Rally Sweden, scene of its maiden victory, for round two of the 2019 FIA World Rally Championship season. 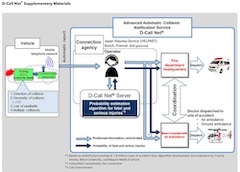 Toyota Motor Corporation (Toyota) and Toyota Central R&D Labs, Inc. today release Version 6 of the Total Human Model for Safety (THUMS(1)) virtual crash dummy software. Researched and developed for over 20 years by the two companies, THUMS simulates detailed computer analysis of human body injuries caused by vehicle collisions. 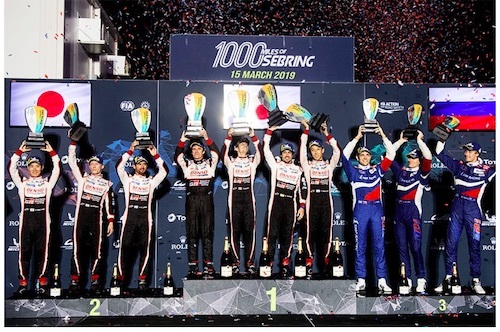 TOYOTA GAZOO Racing is a racing company positioning motorsports activities as the basis of our quest to create ever-better cars. Consolidated vehicle sales totaled 6,700,902 units, an increase of 22,623 units compared to the same period last fiscal year. 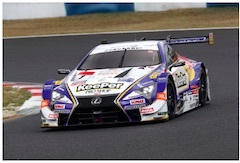 On a consolidated basis, net revenues for the period totaled 22.4755 trillion yen, an increase of 3.1%. Toyota Establishes New Company "KINTO"
Toyota Motor Corporation has established KINTO Co., Ltd., a new company to manage and operate its beloved-car subscription service that proposes a new user-car relationship. 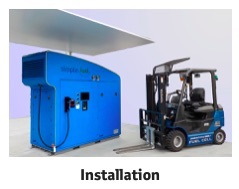 Toyota Motor Corporation (Toyota) and SoftBank Corp. (SoftBank) have completed investment in their joint venture, MONET Technologies Inc. (MONET), with full-scale operations commencing today.